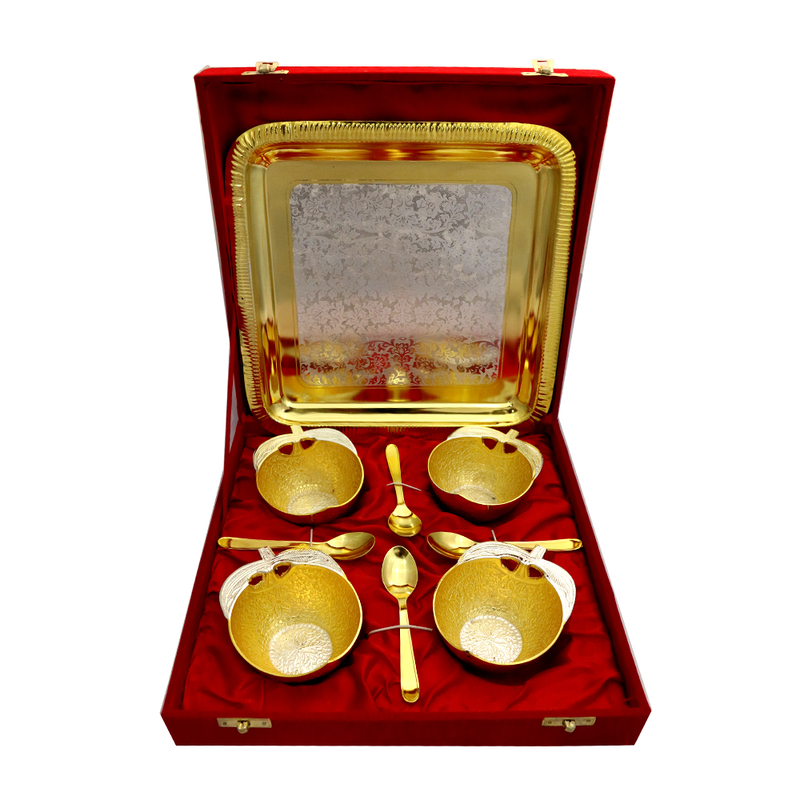 This German Silver 2 Tone 4 Apple Shaped Bowls & Tray Set with 4 Spoons is ideal for buyers looking to highlight the refined taste Read More..of aesthetics that they possess to their guests through the cutlery they use. 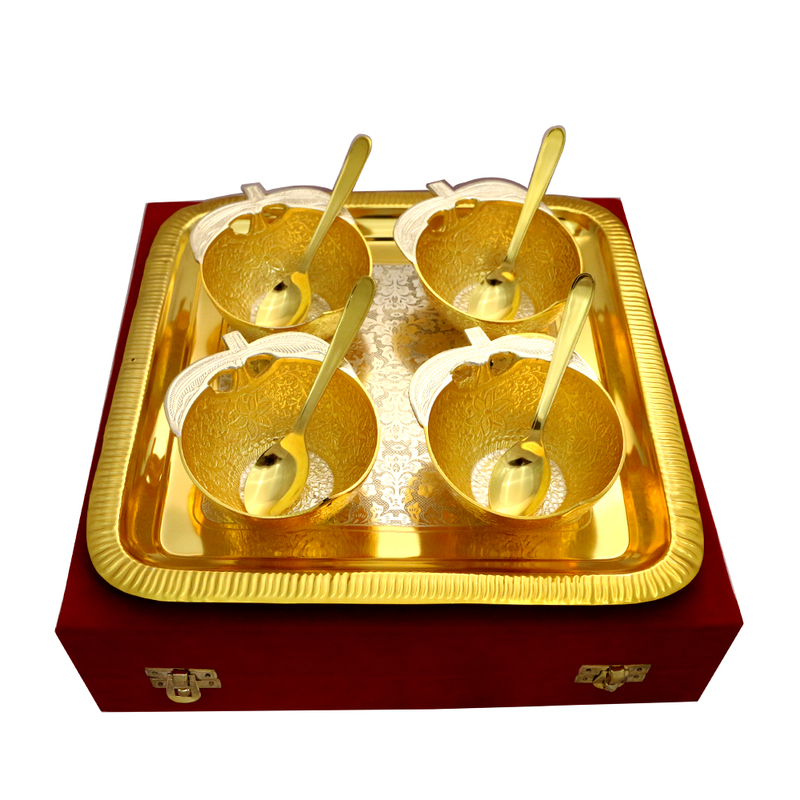 The bowls, with an apple shape, features dual tones of gold and silver, which is also present in the tray to make them even more visually appealing. 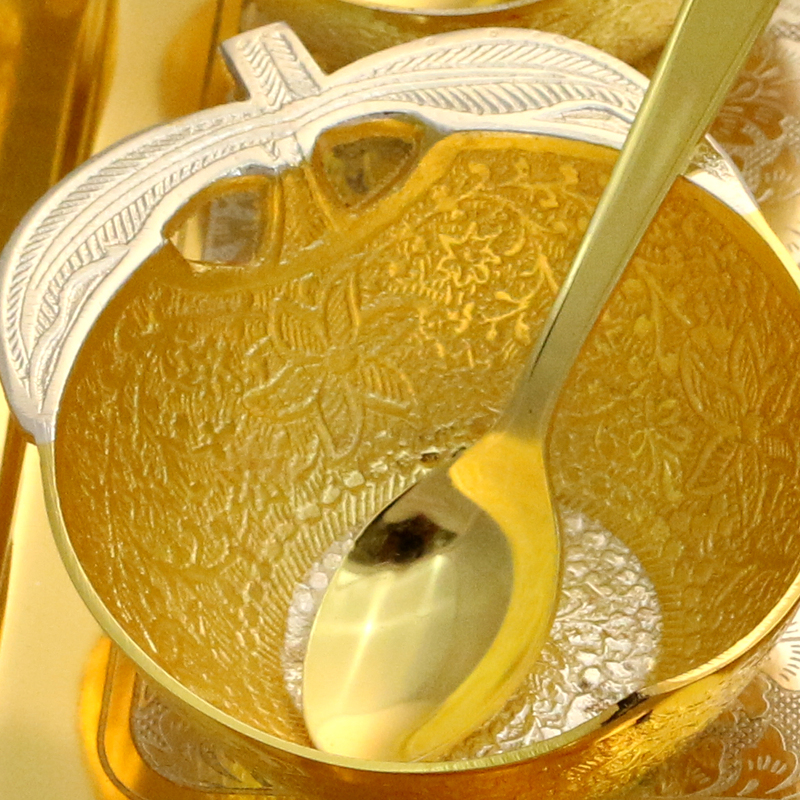 Moreover, the 4 spoons add to the usability of this set. Show Less..